"Lather. Rinse. Save the world." 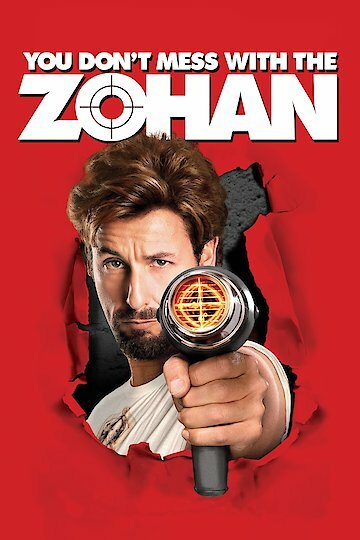 You Don't Mess with the Zohan is a film that focuses on the story of Zohan, a counter terrorist from Israeli whom fakes his death in order to become a world renowned hair stylist. Zohan Dvir is a man who is very generous and kindhearted, but he was once a counter terrorist from Israeli. He was considered as one of the most respected among the Israel Defense Forces. However, after he is signed by the IDF to stop a Palestinian terrorist group, he finds out that this is one of the best ways for him to fulfill his dream of becoming a hairstylist. During his time serving, he got sick of all the fighting and pain that he experienced, and he wanted freedom to offer his services of being a hair stylist. During the time he was sent to kill and stop the Palestinian group, he decides to finally fake his own death and move into New York City to finally become a hair stylist for a famous hair salon. He ends up fulfilling his dream and gets a great job. During his life in New York, he experiences a new set of problems. The biggest problem he faces is not being able to live a normal life as people begin to find out that he used to be a counter terrorist from Israeli. Soon, people start questioning him on who he really is. He develops a love life and tries his ultimate best to begin a new life and start all over with everything that he has. Zohan ends up finding his way to a real life full of freedom as he fights off the scary criticisms he has received for who he is. Zohan has found his life to change in so many different ways once everything resolved itself. Having been a guy who wanted to cut hair rather than fight, he discovers a new part of himself that brings fulfillment in everything which he does. Love and everything else becomes completely a part of his life in the end. You Don't Mess with the Zohan is currently available to watch and stream, buy on demand at Amazon, Vudu, Google Play, FandangoNow, iTunes, YouTube VOD online.